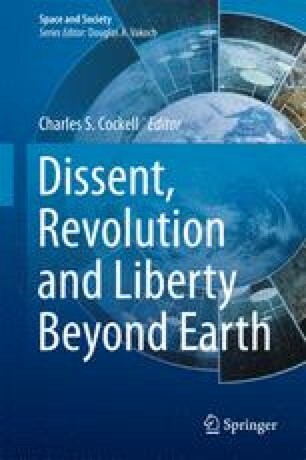 How are individuals and groups of people in extraterrestrial settlements to rebel against edicts, laws and even governments with which they disagree? The instantaneously lethal conditions in outer space make violent disobedience undesirable because of the potentially catastrophic consequences of the destruction of infrastructure. There are approaches, such as a free press and open political deliberations, that may discourage people from engaging in violent disobedience by providing them with effective channels for dissent. Furthermore, habitats can be engineered to mitigate catastrophic effects of violent disobedience should it occur. Additionally, there are various mechanisms of non-violent civil disobedience that could be used by a population to register dissent. By overtly recognising the need for mechanisms of civil disobedience within rules, dissent may have a chance of being included in productive political discussion.